Production of the pro-inflammatory cytokine interleukin (IL)-17 by Th17 cells and other cells of the immune system protects the host against bacterial and fungal infections, but also promotes the development of rheumatoid arthritis (RA) and other autoimmune and inflammatory disorders. Several biologicals targeting IL-17, the IL-17 receptor, or IL-17-related pathways are being tested in clinical trials, and might ultimately lead to better treatment for patients suffering from various IL-17-mediated disorders. In this review, we provide a clear overview of current knowledge on Th17 cell regulation and the main Th17 effector cytokines in relation to IL-17-mediated conditions, as well as on recent IL-17-related drug developments. We demonstrate that targeting the Th17 pathway is a promising treatment for rheumatoid arthritis and various other autoimmune and inflammatory diseases. However, improvements in technical developments assisting in the identification of patients suffering from IL-17-driven disease are needed to enable the application of tailor-made, personalized medicine. The RUNMC research was sponsored by the Innovative Medicines Initiative Joint Undertaking-funded project BTCure (grant number: agreement 115142-2). The authors have no conflicts of interest that are directly relevant to the contents of this article. National Library of Medicine. ClinicalTrials.gov (Internet). Bethesda (MD): National Library of Medicine (US). 1 Jan 1993. Identifier NCT00966875, a study in patients with rheumatoid arthritis; 25 Aug 2009 (cited 5 Dec 2012); (about 6 screens). Available from: http://clinicaltrials.gov/ct2/show/NCT00966875?term=NCT00966875&rank=1. National Library of Medicine. ClinicalTrials.gov (Internet). Bethesda (MD): National Library of Medicine (US). 1 Jan 1993. Identifier NCT01426789, a biomarker study of secukinumab in rheumatoid arthritis patients; 12 Aug 2011 (cited 5 Dec 2012); (about 3 screens). Available from: http://clinicaltrials.gov/ct2/show/NCT01426789?term=NCT01426789&rank=1. National Library of Medicine. ClinicalTrials.gov (Internet). Bethesda (MD): National Library of Medicine (US). 1 Jan 1993. Identifier NCT01640938, study to evaluate the long term efficacy, safety and tolerability of secukinumab in patients with rheumatoid arthritis; 12 July 2012 (cited 5 Dec 2012); (about 4 screens). Available from: http://clinicaltrials.gov/ct2/show/NCT01640938?term=NCT01640938&rank=1. National Library of Medicine. ClinicalTrials.gov (Internet). Bethesda (MD): National Library of Medicine (US). 1 Jan 1993. Identifier NCT01059448, safety and efficacy of AMG 827 in subjects with RA; 28 Jan 2010 (cited 5 Dec 2012); (about 5 screens). Available from: http://www.clinicaltrials.gov/ct2/show/NCT01059448?term=AMG+827+RA&rank=1. National Library of Medicine. ClinicalTrials.gov (Internet). Bethesda (MD): National Library of Medicine (US). 1 Jan 1993. Identifier NCT01646177, a study in participants with moderate to severe psoriasis (UNCOVER-3); 18 July 2012 (cited 2 Dec 2012); (about 4 screens). Available from: http://clinicaltrials.gov/ct2/show/NCT01646177?term=NCT01646177&rank=1. National Library of Medicine. ClinicalTrials.gov (Internet). Bethesda (MD): National Library of Medicine (US). 1 Jan 1993. Identifier NCT01539213, distribution of secukinumab (AIN457) into dermal interstitial fluid after a single subcutaneous administration of 300 mg (OFM ISF); 23 Dec 2011 (cited 2 Dec 2012); (about 4 screens). Available from: http://clinicaltrials.gov/ct2/show/NCT01539213?term=NCT01539213&rank=1. National Library of Medicine. ClinicalTrials.gov (Internet). Bethesda (MD): National Library of Medicine (US). 1 Jan 1993. Identifier NCT01537432, multiple-dose regimen study to assess effect of 12 months of secukinumab treatment on skin response and biomarkers in psoriasis patients; 17 Feb 2012 (cited 2 Dec 2012); (about 4 screens). Available from: http://clinicaltrials.gov/ct2/show/NCT01537432?term=NCT01537432&rank=1. National Library of Medicine. ClinicalTrials.gov (Internet). Bethesda (MD): National Library of Medicine (US). 1 Jan 1993. Identifier NCT01406938, efficacy and safety of subcutaneous secukinumab (AIN457) for moderate to severe chronic plaque-type psoriasis assessing different doses and dose regimens (SCULPTURE); 12 July 2011 (cited 2 Dec 2012); (about 4 screens). Available from: http://clinicaltrials.gov/ct2/show/NCT01406938?term=NCT01406938&rank=1. National Library of Medicine. ClinicalTrials.gov (Internet). Bethesda (MD): National Library of Medicine (US). 1 Jan 1993. Identifier NCT01636687, judging the efficacy of secukinumab in patients with psoriasis using autoiNjector: a clinical trial evaluating treatment results (JUNCTURE); 6 July 2012 (cited 2 Dec 2012); (about 4 screens). Available from: http://clinicaltrials.gov/ct2/show/NCT01636687?term=NCT01636687&rank=1. National Library of Medicine. ClinicalTrials.gov (Internet). Bethesda (MD): National Library of Medicine (US). 1 Jan 1993. Identifier NCT01365455, efficacy and safety of subcutaneous secukinumab for moderate to severe chronic plaque-type psoriasis for up to 1 year (ERASURE); 1 June 2011 (cited 2 Dec 2012); (about 4 screens). Available from: http://clinicaltrials.gov/ct2/show/NCT01365455?term=NCT01365455&rank=1. National Library of Medicine. ClinicalTrials.gov (Internet). Bethesda (MD): National Library of Medicine (US). 1 Jan 1993. 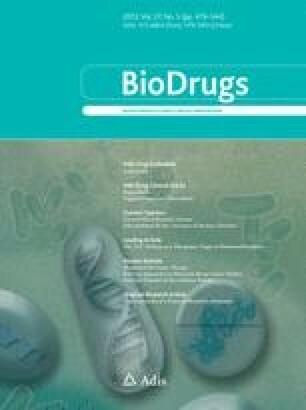 Identifier NCT01544595, extension study of secukinumab prefilled syringes in subjects with moderate to severe chronic plaque-type psoriasis completing preceding psoriasis phase III studies with secukinumab; 28 Feb 2012 (cited 2 Dec 2012); (about 4 screens). Available from: http://clinicaltrials.gov/ct2/show/NCT01544595?term=NCT01544595&rank=1. National Library of Medicine. ClinicalTrials.gov (Internet). Bethesda (MD): National Library of Medicine (US). 1993 Jan 1. Identifier NCT01708603, study of efficacy and safety of brodalumab compared with placebo and ustekinumab in moderate to severe plaque psoriasis subjects (AMAGINE-2); 12 Sep 2012 (cited 2 Dec 2012); (about 5 screens). Available from: http://clinicaltrials.gov/ct2/show/NCT01708603?term=NCT01708603&rank=1. National Library of Medicine. ClinicalTrials.gov (Internet). Bethesda (MD): National Library of Medicine (US). 1 Jan 1993. Identifier NCT01708590, study of efficacy, safety, and withdrawal and retreatment with brodalumab in moderate to severe plaque psoriasis subjects (AMAGINE-1); 10 Sep 2012 (cited 2 Dec 2012); (about 4 screens). Available from: http://clinicaltrials.gov/ct2/show/NCT01708590?term=NCT01708590&rank=1.